Samsung has released an official reason on the recall of their Galaxy S7 smartphone. The company cites poorly designed and manufactured batteries that caused some Galaxy s7 smartphones to overheat and catch fire. This report has been released after a months-long investigation by Samsung and three independent industry organizations. The phone’s were recalled once prior to the second and final recall in October. Originally the battery’s outer casing was too small to accommodate the components inside, causing them to short-circuit and overheat, according to the investigations. The second battery’s overheating stemmed from other design defects and a missing key component. Samsung and the independent investigators said neither the overall design of the Galaxy Note 7 phone nor the company’s own manufacturing process were to blame for the battery issues. Affiliate company Samsung SDI made the first set of faulty batteries and Hong Kong-based Amperex Technology produced the replacement batteries. 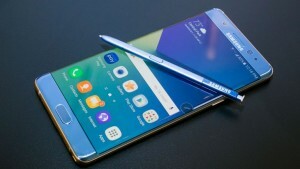 Samsung said Monday that 96% of about 3 million Note 7 devices have been returned. This case is a prime example of why we at Harding always stress in tacking the necessary precautions when creating a design with our customers and choosing the proper technology to match the application requirements in order to prevent such a failure.